Firefly is an online tool that brings together teachers, students and parents. 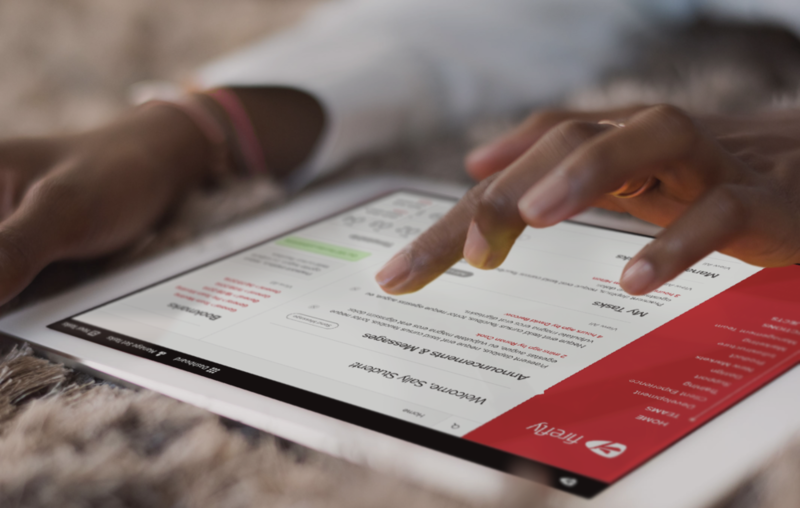 Through a sleek web interface and mobile apps, teachers can set homework online and students can be notified on their device. It helps students stay organised as all of their homework, learning resources, timetables and school information is in one place. I was working on a redesign of the main website, a site that promotes the product to future clients, and lets them lean more about Firefly's features. 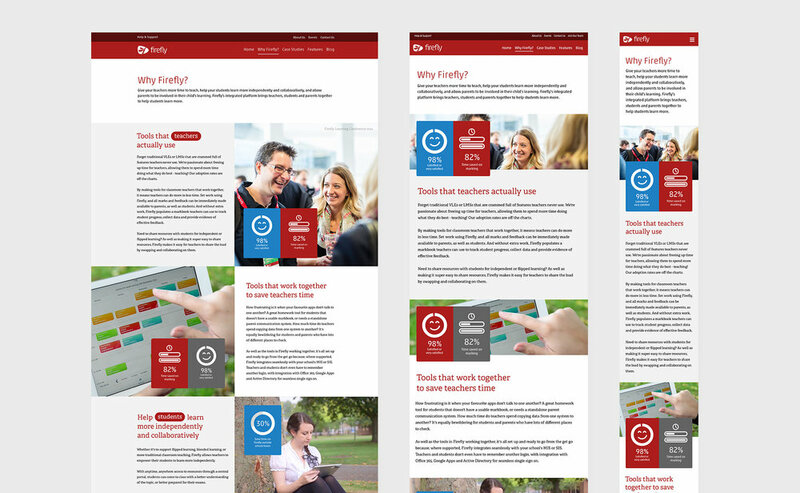 Firefly has been used millions of times by students, parents and teachers in hundreds of schools across the world so it was vital that the new website represented the product in the best way. With the whole website being responsive, it looks great on every device. The desktop view was designed using a 12 column structure, so page items can easily be rearranged depending on the browser size. This means pages display beautifully when viewed on a tablet or smartphone. It was important to keep the design language consistent across the whole website, so visitors would feel a clear flow. All of the pages use the Firefly colour scheme of red with accents of blue. Page backgrounds differ from white and light grey to add subtle structure to pages. The two typefaces enforce the brand and help deliver a consistent experience for all of the companies websites, marketing material and branding. 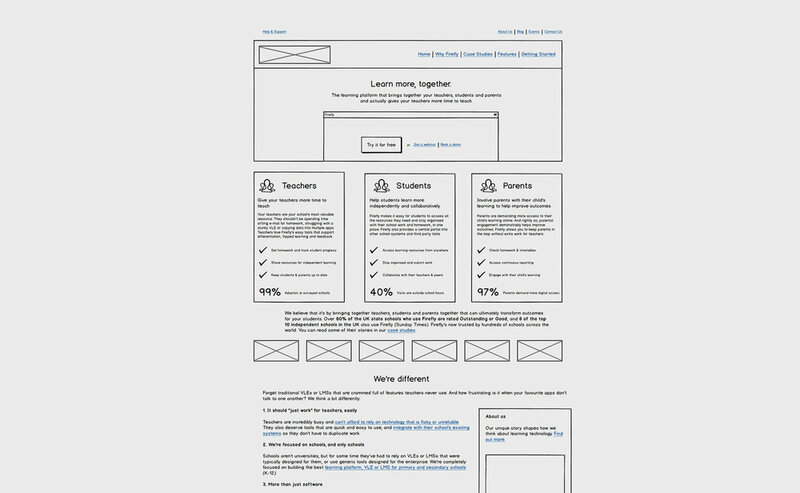 The original wireframe I was given for the home page layout. Schools using Firefly's platform can choose a Theme that students, teachers and parents will see. Each theme has a different structure and design. I designed the 'Columnist' theme shown here. Below are the working designs for the 'Columnist' theme which is now available to thousands of parents, students and teachers. The structure of the theme is based around the sidebar, which can be customised to match a schools branding. This makes navigating easier, and allows users to focus on their content. "Adam is an incredible designer and a great addition to team Firefly. We were extremely impressed with both his technical skill and professionalism. We were always confident that he’d interoperate our brief correctly and he produced some really great results"
Macbook is a trademark of Apple Inc., registered in the U.S. and other countries. © Firefly Learning. Designs are original artwork by Adam Marsh. All rights reserved.